Since the first instalment in 2006, SappyFest has become a staple of Canada's summer festival lineup. Unfortunately, the annual event is now experiencing money troubles, and is releasing a coffee table book in order to get out of its financial hole and rebuild. 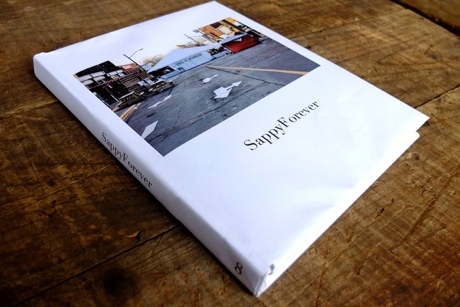 Entitled SappyForever, this retrospective tome is being released through an Indiegogo campaign. An announcement on the fundraising page explains that, although the recent SappyFest 8 was largely successful, the organizers fell about 100 attendees short of breaking even, leaving them $15,000 in debt. Now, they're hoping that 250 people will buy SappyForever for $100 a pop; that's $15,000 for the debt and $10,000 more to make the book. Its 160 pages will include photos, essays, memories and more, plus a photo gallery of the folks who purchased the book. Assuming that the campaign is successful and the books gets made, the organizers will donate a copy to one library in each province and territory in Canada. The campaign launched today (August 14) and runs until September 15; as of press time, the organizers have already sold 41 copies and raised $6,081, which is a promising start considering that there's more than a month to go. The books are expected to arrive in December. Still, even if SappyFest raises the money, the future of the event is still somewhat murky. The announcement explains, "This has been an incredibly difficult year for our organization. It may take time for SappyFest to rebuild, but we are committed to do so. This will also mark the last year that co-founders Paul Henderson and Jon Claytor will serve as artistic and creative directors. They will assist in the transition, passing on the torch to an amazing group of young people ready and willing to bring SappyFest into the future."